On Wednesday, 29th November 2017, succor came the way of Mr. Ayodele Oluwaseun, a graduate of Microbiology from the prestigious Ladoke Akintola University of Technology (LAUTECH), Ogbomoso when he was financially empowered by Mr. Adedayo Oderinu, the Anchor of a radio-based human capacity and business development programme – Karakata. In his bid to facilitate the growth and survival of Small and Medium Enterprises in Osun State, Mr. Adedayo Oderinu had commenced the Karakata Non-Refundable SME Grants Scheme, meant to give cash handouts of Five Thousand Naira (5,000) only to struggling SME owners who could use the sum to bring their businesses back to life. Using his weekly radio programme (Karakata) airing on Rave 91.7FM Osogbo as the contact point between him and SME owners, prospective beneficiaries were required to phone-in live and analyze how they would utilize the said sum in their existing businesses. 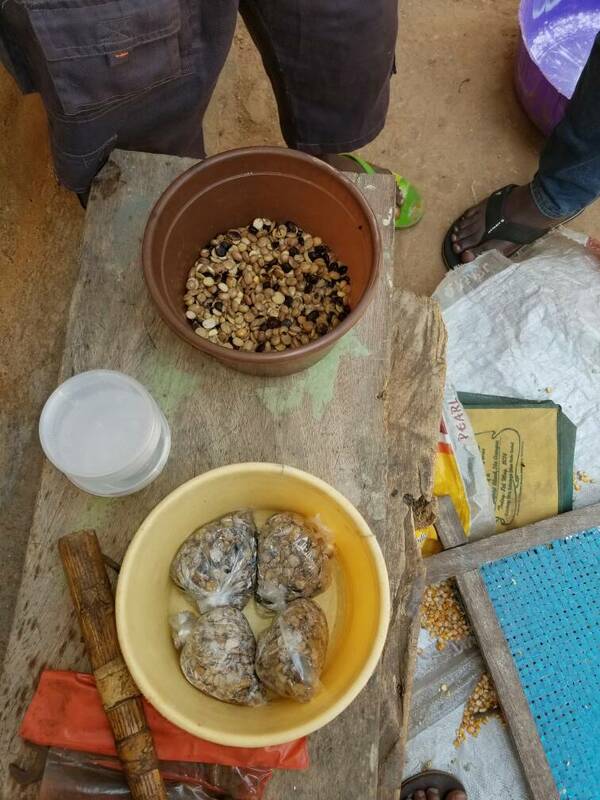 It was while the radio programme was ongoing on Wednesday 29th November that Mr. Ayodele Oluwaseun phoned in and explained how #5,000 could help him boost his locust bean (iru) business. According to him, he had resorted to this business to make ends meet despite being a graduate of Microbiology. Having done the business for a while, he already had great dreams of how he could use his education to improve the quality of this local seasoning. His story was as touching as it was encouraging and he was consequently selected to receive the empowerment package alongside two other beneficiaries. 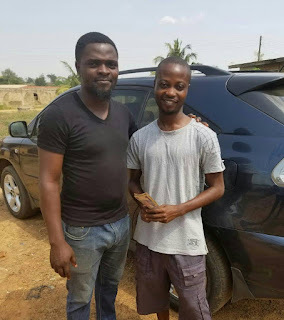 Consequent upon his selection to receive the empowerment, he was paid a visit on Thursday 30th November, 2017 at his Ilesha base to ascertain his claims and present him with the empowerment package. At the end of long deliberations that showed his determination to achieve success in the business, the Karakata team resolved to empower him with a total sum of Ten Thousand Naira (10,000) only, to help him immediately repackage his goods and reach a more refined target market. Speaking after receiving the financial empowerment, he thanked the Facilitator (Adedayo Oderinu) and all donors involved in the empowerment programme while he also promised to put in his best to achieve the success he desires. Also speaking after the presentation, the Facilitator of the SME Empowerment programme encouraged Ayodele to diligently utilize the fund and build his business with the little fund until he is able to access bigger capital. He also admonished privileged people in the society to contribute graciously to this empowerment project so that more businesses can grow and the economy can greatly improve. The Empowerment of Mr. Ayodele Oluwaseun takes the number of SME owners empowered by Karakata through Mr. Adedayo Oderinu to five (5).